Following his previos single “Target Practice”, COCO releases Big Bou Ya. produced by the talented Toddla T. The scene seems to be having a lot of freestyles recently with catchy hooks, with Stormzy being one of the best at it. It is definitely working in the UK music scene right now and this track has already been premiered on the Charlie Sloth show on 1Xtra! This is available for download on iTunes right NOW here. The extremely talented singer-songwriter Jesse Gamage recently released his “Courage EP“. It is a 5 track long EP comprised of absolutely beautiful soul music. Jesse Gamage will appeal to all audiences and can make anyone that listens to him fall in love with his smooth vocals. I cannot over-sell this, but I’ll do my best to just let the music speak for itself! Double S aka The Flow Farda aka Billionaire Bashir released The Flow Farda EP yesterday (Sunday 14th May). The last project you heard from him was Marvell FM5, well over a year ago and now he’s gone solo! Double prove’s straight up that he has earned his title with back to back bangers! This EP’s one and only feature is Shocka, who’s own solo project is coming out next month. The Flow Farda EP is a 5 track long long grime EP that’s only £2.49, you get paid more than that working in McDonald’s, don’t be cheap support talent. 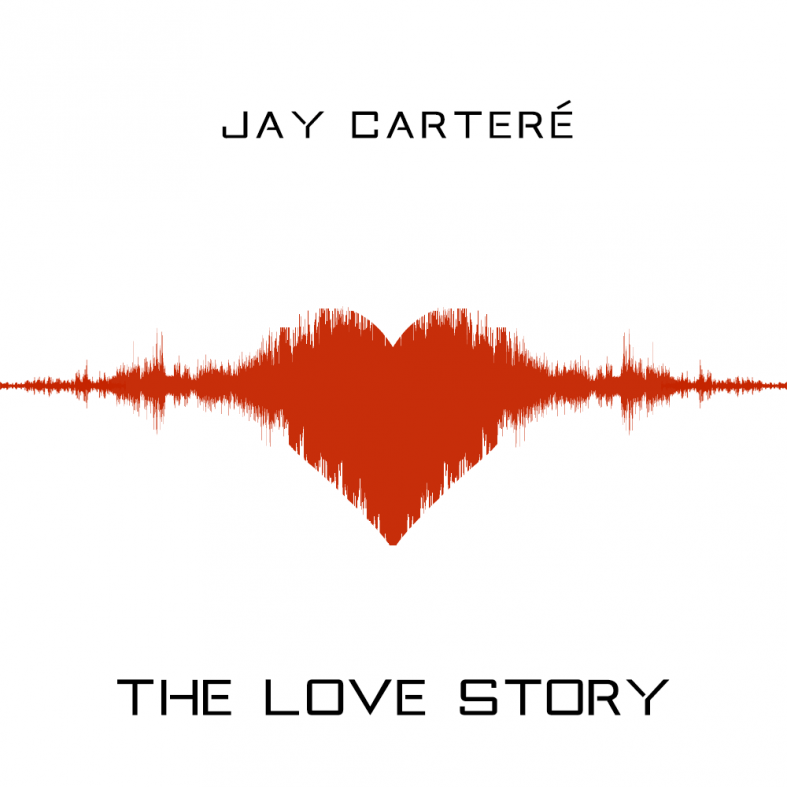 Yesterday, Jay Carteré released his fresh new 8 track long EP called “The Love Story”. It showcases his abilities to produce dance music, which is currently becoming a more and more popular genre. Jay is what you call a DIY artist, he produces, films and edits, sings and raps. Not only does this minimise expenses for him, but also means he is a force to be reckoned with as he is able to work at his own pace and doesn’t have to depend on others to get the projects done. The EP is available for £5.99 on iTunes, which is less than most of Burger King’s meals. Be healthy, support a cause. People don’t understand the importance of buying music. Just like you working in Tesco, this is their job. They provide you with music that you can listen to every day for the rest of your life if that’s what you want to do. You wouldn’t steal clothes, or food or shoes (some of you might), so don’t do the same with music. Hit download, it’s well worth it. The latest video from Jay Carteré. This video is craaaaaaaaaazy! It was also released for download HERE on A Star‘s birthday! What a great 21st ?! "Maybe cheating in a relationship isn't the worst thing you could do, maybe it's just human nature?" Remember when you were a child, and your parents would tell you you're not allowed to eat sweets, or make a mess in your bedroom, and you'd do the complete opposite and crave it even more just because you're not allowed? Or if you're on a diet, you know you're not allowed cake or carbs, but simply because you know you're not allowed it, you want it even more? Well surely the same applies in relationships? Firstly, I want to start by saying we're not perfect, but perfection is something we should strive towards. Honesty is the best policy. A friend of mine is genuinely one of the loveliest people I know, with the best heart and the best intentions and I don't want to show him in a negative light whatsoever, simply provide you with an alternative idea. I've known him for a few years, however we only started speaking properly about a year ago. We both found each other attractive, blah blah blah, so we decided to book a hotel room. He ignored me for a few days, so obviously something was wrong, then he told me there's another girl he loves (obviously I didn't know this before), as they weren't together. I didn't think much of it, actually I was extremely envious of this girl, and that she has someone in her life that is so dedicated and faithful. A few months later, conversation escalated, and we once again decided to go hotel, and a few days beforehand he once again cancelled. This time I was pretty angry and upset, because he'd lead me on and then cancelled. Obviously we're not together but I'm my own person too at the end of the day and don't want to be lead on. Another few months later we started talking, innocent conversation about gym, films etc (this time via dm on twitter as I deleted his number and vice versa, I assume), and I had calmed down over the previous incident, he was a genuinely lovely person and I admire the faithfulness to his yet to be girlfriend, I hope I find someone like that in the future. But anyway, we decided to have a gym session together, as we live near each other we went to the park, and for the majority of it, it was a really good session, fun, productive (my legs KILLED the following day) but there was sexual tension, especially towards the end. My back was super sore from gym the previous day and he offered a massage, it was rubbish and he didn't get very far unfortunately as he was starting to give in, and couldn't resist the attraction any longer. Not a lot happened as I stopped him, before it escalated too far. I'd hate for my future husband to cheat on me, so I could only give this couple the same respect (they were together a few months at this point). The following day he thanked me, and was grateful for stopping him. Alternatively, on a separate occasion I was speaking to another friend about this topic. He told me that he's seen a sidechick/man save many relationships. His reasons were that if you have an argument with your partner, instead of ending the relationship, you go to see a sidechick/man, relax, then go back to your partner happy and proceed as normal. I disagree with his reasoning however I see the point behind it. As long as you don't make a habit out of temptation, and are honest... maybe we're too extreme when it comes to cheating? I disagree with cheating, and don't condone it, however this is just a thought. Everyone get's bored of everything eventually if you get too high a dose, it's just a matter of balance.